Hope you're having a lovely Valentine's day. Have you heard the song Valentine by Kina Grannis? I love her voice, it's relaxing. Last night, I made a homemade broccoli pie (I'll add the recipe below) and chocolate bundt cake for dinner. It was a simple affair, we ate in our kitchen. The paper plates are from Tuesday Mornings. I love buying plates, and napkins from there, so many to choose from. Pre-heat your oven to 400 degrees. In a pan saute your broccoli (2 crowns, cut up). with some olive oil and a teaspoon of chopped garlic. Add an onion (red, or yellow) diced and stir. I also add sliced baby carrots, half a diced red pepper and a splash of soy sauce. Stir on a medium-high heat for around 1-2 minutes. bake for around 40 minutes. Even those who aren't keen on broccoli...love this pie. In other news, we've been doing lot's of wedding planning. Pinterest and Etsy have been such a wonderful source of inspiration. We've decided to register at Etsy, as we know the love that's put into all the homemade goodies. And, My 365 Mag's Valentines and Foodie issue is out. Take a tea break and a peek. 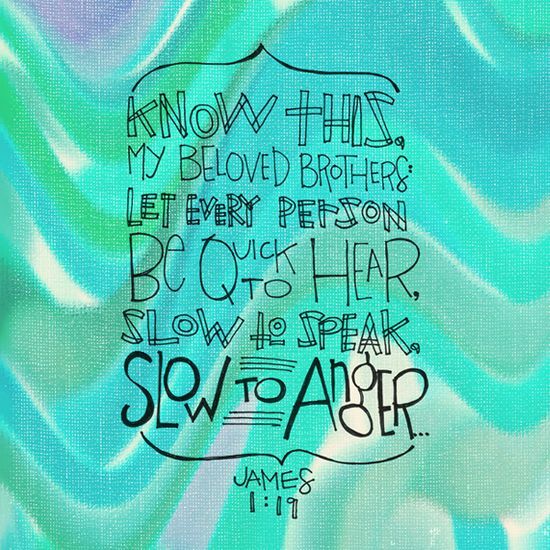 No matter what our beliefs may be, some words are so important to remember, one of my favorites this week is James 1:19. This week has been a quiet one, lot's in the air as far as our future, at this moment. It's the most exciting and yet nerving feeling. I've also had some really chronic headaches. So lot's of rest, tea and my dog Oscar by my side. Hope you all have a delightful weekend. One of my hobbies is finding furniture that has seen better days. Every once in awhile I'll go scouting at Goodwill, or a local thrift shop in there furniture section. My choice of space to paint? The laundry room...home to our black cat Buster. He wasn't sure at first, but once on board as my apprentice, he sat by my side and watched every single brush stroke. Sophie also came to inspect. Firstly, I looked through my stash of paints, and I have quite a selection. Home Depot and Lowe's have an unwanted paints section, usually right where they mix...and oftentimes I find something I like for a $1 or $2. My brushes are the leftover ones in a pack from our household painting projects, so I have a stash of those too. One day, I might try spraying...but for now I enjoy the therapy of painting by brush...I always sand lightly first and dust the crevices. It took me two days to finish this console. On the day I bought it, I gave it a coat, then the following day I turned it upside down and gave it a coat...and then in the evening flipped it back around and did touch ups. ...and a close up. The basket is perfect for storing extra cushions. Perfect in our parlor, where we like to sit and read. Would you follow my Facebook page?